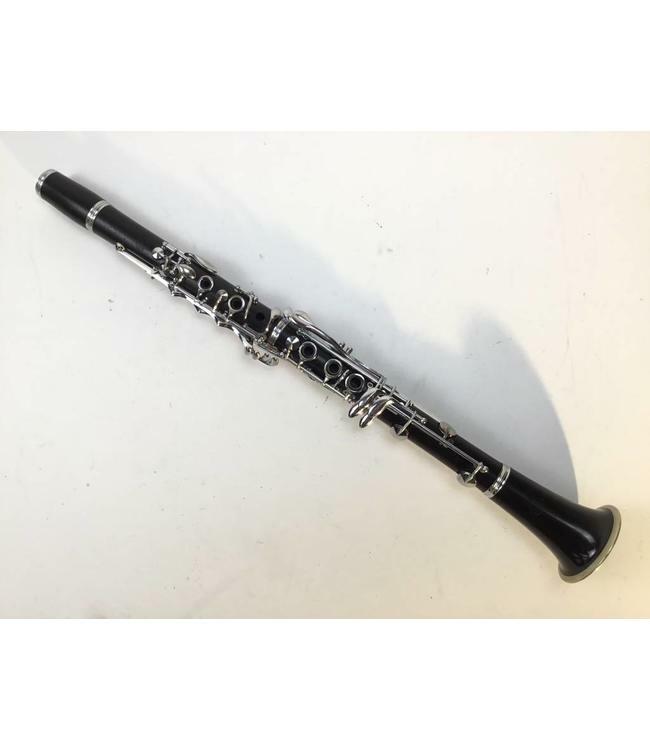 Vintage used A'Fontaine Bb clarinet. Wood body is in good condition with two small cracks in lower tenon. Surface scratches throughout. This instrument has been re-padded and corked but is still a "project" clarinet. Although it plays, it will need additional adjustment. Being sold AS IS. Comes with a case.